The fulcrum of the new Fiduciary Rule from the U.S. Department of Labor (DOL), which becomes law on April 10, 2017, is the Best Interest Contract Exemption. The Department of Labor believes that conflicts of interest in the financial services industry are hurting individuals who have retirement accounts such as 401(k), SEP, SIMPLE, and IRA, in that these conflicts are causing investors to pay higher costs and receive lower returns. Their remedy is the 2016 Fiduciary Rule, which requires almost all financial advisors who counsel IRA-holding individuals or 401(k) plans to provide conflict-free investment advice in the customer’s best interest. The problem is: fiduciaries can receive compensation only with a legal exemption, hence the need for the new waiver. 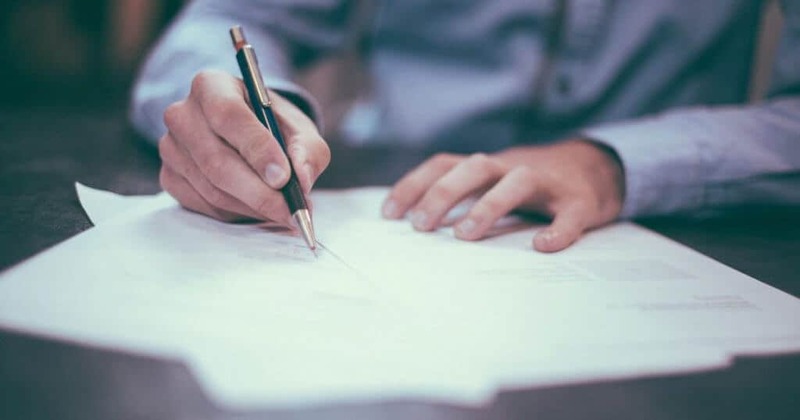 To receive compensation as a fiduciary, financial institutions must enter into an agreement with you, the IRA owner, in which they acknowledge they are a fiduciary and will be working in your best interest, according to the new law. If your financial advisor receives a commission or what we call variable compensation, s/he must enter into a signed contract with you, outline the steps the company has made to reduce or eliminate conflicts of interest, and pledge to do what is in your best interest. If, however, your advisor charges a level fee, as opposed to a commission, no signed contract is required. Instead, the company must pledge to act as a fiduciary and do what is in your best interest. This fee arrangement has fewer requirements, because the DOL believes that the level cost provides protections. Each agreement must be made between you, the individual investor, and the company your financial advisor represents. The new law also gives aggrieved investors additional recourses. On October 7, 2016, Merrill Lynch announced that, after the new law goes into effect, their 14,000 brokers will only open level-fee IRA accounts. Many financial firms believe this is just the first step in an industry-wide transition away from commissions in retirement accounts. By making a level fee arrangement allegedly less erroneous, the DOL tipped its hand in the direction in which it wanted the industry to go. How about existing IRA accounts? By January 1, 2018, your financial institution is required to send you a contract outlining the terms of your relationship. Moreover, if after 30 days you do nothing, that contract will go into effect. The new rule applies to 401(k) plans, SEPs, SIMPLEs, and 403(b) plans that fall under ERISA. If, however, the 401(k) or 403(b) is considered to be a big plan—e.g., more than $50 million in assets—the best-interest contract exemption will not apply, as these bigger plans already have protections in place. The rule will apply if a financial advisor counsels you on rolling over your 401(k) or 403(b), since all rollover advice falls under the new rule, regardless of the size of the plan from which the rollover comes. Also, if you have a 403(b) plan that happens to fall outside of ERISA coverage—e.g., a 403(b) in a public school system—the new rule applies only if you decide to rollover that 403(b) into an IRA. If you have an IRA and you work with a financial advisor, now is a good time to review the payment arrangement. If you are thinking of rolling over a 401(k) or 403(b) before April 17 of next year, make sure the arrangement you have with your financial advisor is consistent with the new rule.